Imperial is proud to present its newest sofa to the team! 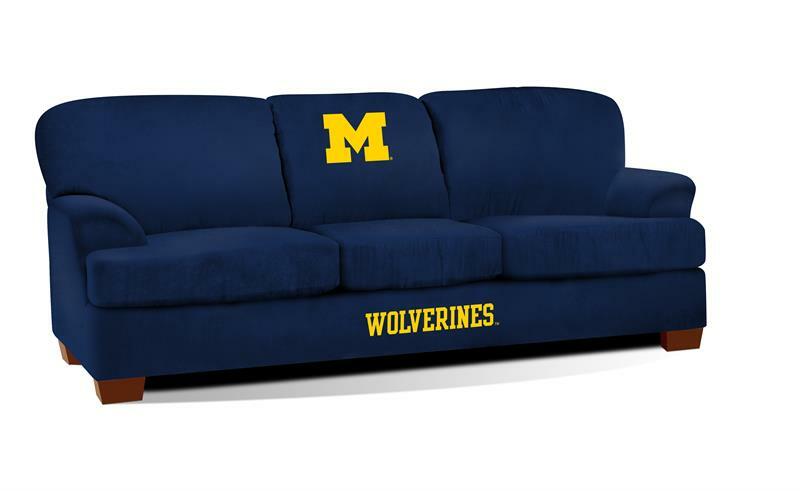 The Michigan Wolverines First Team Sofa replaces the retired Pub Sofa and features a brand new look. A little longer, a little deeper and a little taller! It sits great and you will enjoy hanging out with your friends and family for the big game. Solid team color microfiber and embroidered patch logos display your favorite team perfectly. Handcrafted by North Carolina craftsmen, this sofa will surely be part of your game day festivities for years to come! Dimensions: L 91" x W 39" x H 37"